The hands are often the most ignored parts of the body – and the most abused as well. Cosmetic improvements that aim to make people look more youthful are often centered on the face, but the hands are actually the body parts that show the most visible signs of ageing. The skin on the hands is extremely thin, and any deterioration on the quality of the skin on the hands is immediately noticeable – and can take on an older appearance almost immediately as well. Hand rejuvenation treatments have the goal of improving the skin, and other parts of the hands are most noticeable – to bring back the smooth, young-looking hands that any individual will be proud to wave and shake hands with. The hand rejuvenation treatment to be performed by a Woodbury Dental and Laser Clinic specialist in Kent will depend on the specific hand concern that a patient is experiencing, so the best results can be obtained after the entire procedure is finished. 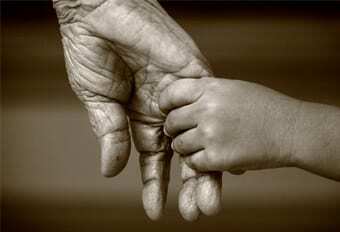 Conditions that Make Hands Look Old Age Spots – Age spots on the hands are telltale signs of lost youth, and can even make the hands look much older than the actual age of the patient. Age spots and other changes that are related to pigmentation can be caused by genetics, the natural ageing process, and too much exposure to the sun’s harmful rays. Loss of Fat Padding – Youthful looking hands have a natural padding or cushion of fat, which makes the hands appear smooth and plump. When this fat cushion or padding is lost, the hands can take on a bony and thin appearance – which is synonymous to old age. The loss of fat on the hands can also make the skin look wrinkly, thin and dry, and can cause the skin to sag. Prominent Veins – Prominent veins on the hands can be synonymous to hard manual work – or old age. Hands that have prominent, bulging veins can make the person look much older than his or her actual age. Changes in Contour – Any changes in the natural contour of the hands can look unsightly, and may even be mistaken for medical conditions. Common Hand Rejuvenation Treatments Intense Pulsed Light (IPL): IPL (intense pulsed light) laser skin treatments are considered to be the most effective for hand rejuvenation. The intense pulses of light are directed onto the areas of the hands that need to be improved, and can effectively remove age spots and other concerns with pigmentation. Hand rejuvenation through an IPL laser skin treatment can give hands a naturally youthful appearance. Microdermabrasion – Hand rejuvenation by microdermabrasion is performed by a Kent specialist by sanding off or abrading the first layer of skin with diamond tip wands. This procedure can effectively rejuvenate the skin on the hands, and can also reduce the appearance of fine lines. Chemical Peel – A chemical peel is a hand rejuvenation technique used to improve the appearance of the skin. In a hand rejuvenation treatment, a chemical solution is applied to the skin on the hands, which causes it to “blister” or form controlled wounds; the skin will then eventually peel off. The chemical peel treatment results to new and regenerated skin – which is generally smoother and more youthful looking than the old skin. After a chemical peel, the hands are more sensitive to the harmful rays of the sun, so it is best to avoid too much sun exposure. Injectable Fillers – Hand rejuvenation can also be done with injectable fillers. Once the filler is injected onto the hands, the filler material is then massaged across the back of the hand so that it can spread out to fill in the entire area – causing the hands to appear youthfully plump. The hand rejuvenation treatment with injectable fillers can usually be finished in less than 20 minutes, and results are immediately noticeable. Restylane Vital – Restylane Vital is a clear gel that is used in hand rejuvenation; the gel is injected into the dermis to moisturize the skin from deep within. The main component of the gel is HA known as hyaluronic acid, which is naturally formulated in the human body; however, just like melatonin, the production of hyaluronic acid decreases with the passage of time. Restylane Vital encourages skin cell activity by increasing the production of elastin and collagen to restore younger looking contours to the hands. Fraxel Laser Technique – The Fraxel laser resurfacing is a new treatment that can be used for hand rejuvenation; this method is effective in reducing wrinkles, scars, and blemishes. The Fraxel laser technique is performed by directing short, concentrated pulsating beams of light at the areas of the hands that need to be improved; this technique helps bring a youthful glow back to the hands.